Expect more than your traditional shopping experience at Stonebriar Centre. With over 165 retailers to choose from you can shop designer duds at Coach, Michael Kors, Macy’s and Nordstrom, or browse beloved boutiques like Cotton On, White House Black Market, James Avery Jewelry, H&M and Forever21. Stores like Pottery Barn, Sephora, Apple, Williams-Sonoma and The LEGO Store round out the retail options at this center. 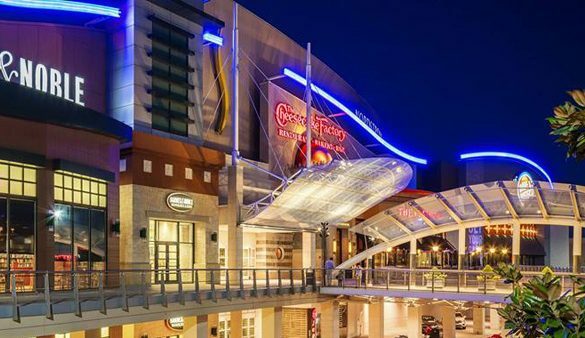 If you get tired of shopping, catch a movie at the AMC 24 with IMAX, enjoy a delicious meal at The Cheesecake Factory, catch a ride on the carousel or take your little ones to the Children’s Play area.